The March 2015 Great Oklahoma Classic belongs to Lynn and Edwardene Fees of Kellyville, Oklahoma. We met Lynn and his son Clay on a cold February day at the Annual Central Technology Center Car Show located in Drumright, Oklahoma. They were attending to share their great 1966 Corvette and long time family car a beautiful 1957 Ford Thunderbird. Lynn began to save his money when he was only twelve years old to buy a Cushman scooter. Later Lynn thought he would be able to get a real motorcycle but his parents were not going to let that happen. After learning to water ski, Lynn thought he would save for a boat. But that did not come to pass either. Several years past and Lynn began to think about buying his own car. 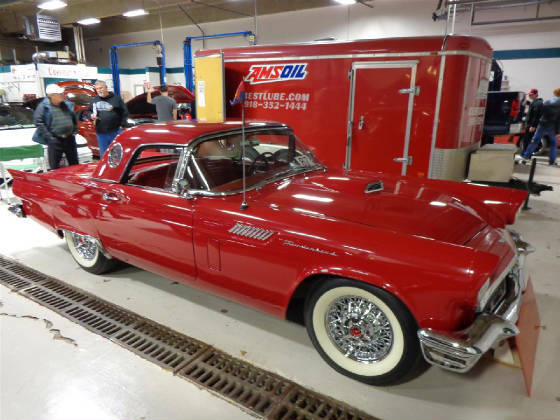 Lynn fell in love with the classic 1957 Thunderbird. He got a job as a janitor and continued to save his money. When Lynn was a junior in high school his father told him he would provide one half of the money for any car he wanted to buy! This was the break Lynn was waiting for and soon he found the perfect car, a red Thunderbird! Lynn drove this car while attending high school, through several years of college and then married the love of his life Edwardene. Lynn says the old Thunderbird knows more about him than his wife! After getting married, it was determined the young couple needed a more practical family car a 1968 Opel, but they still kept the Thunderbird. As time went by the Fees decided to purchase their first home but needed money for the down payment. This is when the Thunderbird made possible another very important happening in their lives. 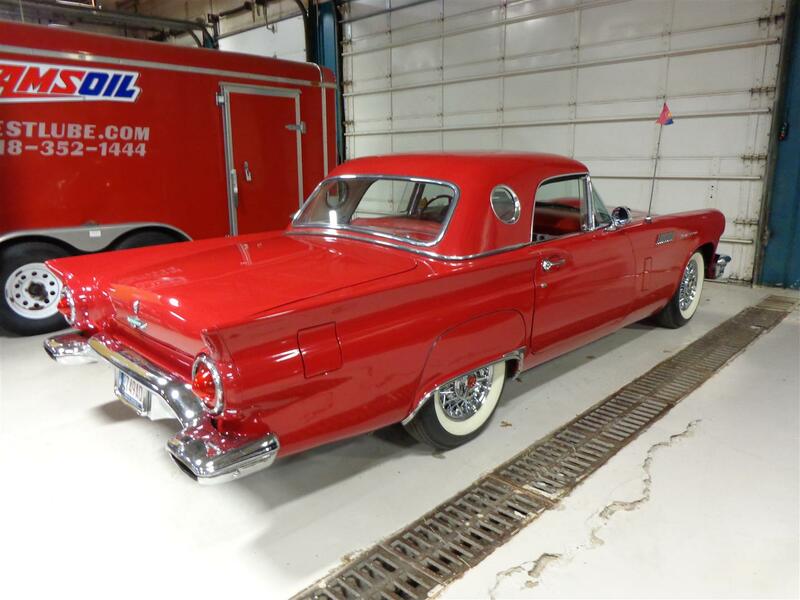 Lynn’s mother told him she would buy the Thunderbird for the down payment money need for the home and when he could afford to pay her back she would return the Thunderbird. Lynn’s mother really liked the 57 Thunderbird. When in her sixties, she had the classic Ford completely restored. She had Ray Williams of El Reno work over the mechanical aspects of the car. Lynn’s mother entered the Thunderbird in several area car shows along with Lynn’s brother who was showing his 1932 Ford. 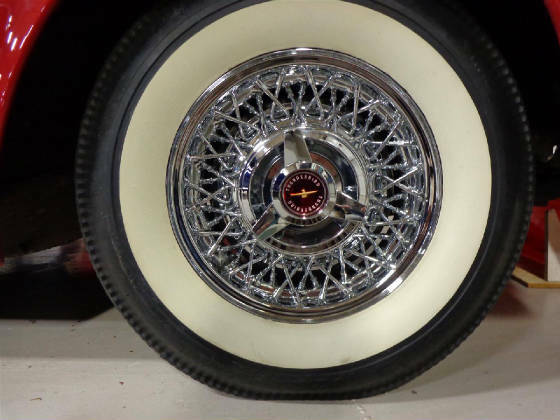 This Thunderbird rides on 7.50/14 wide whitewall tires mounted on classic chrome spoke wheels. 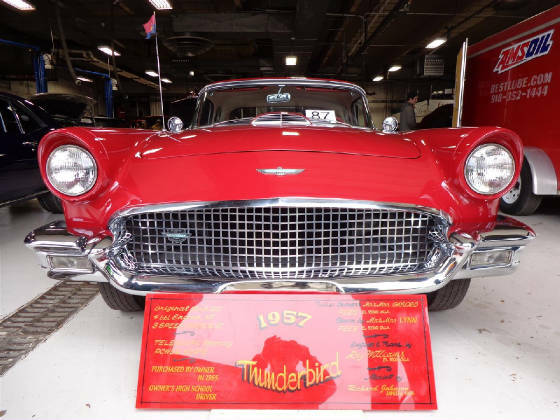 This classic Thunderbird has the original 312 V8 which produces 245 horsepower and 332 pounds feet of torque. The 312 is equipped with the factory Dress Up Kit. The power is applied to the rear wheels through a three speed standard transmission with overdrive. 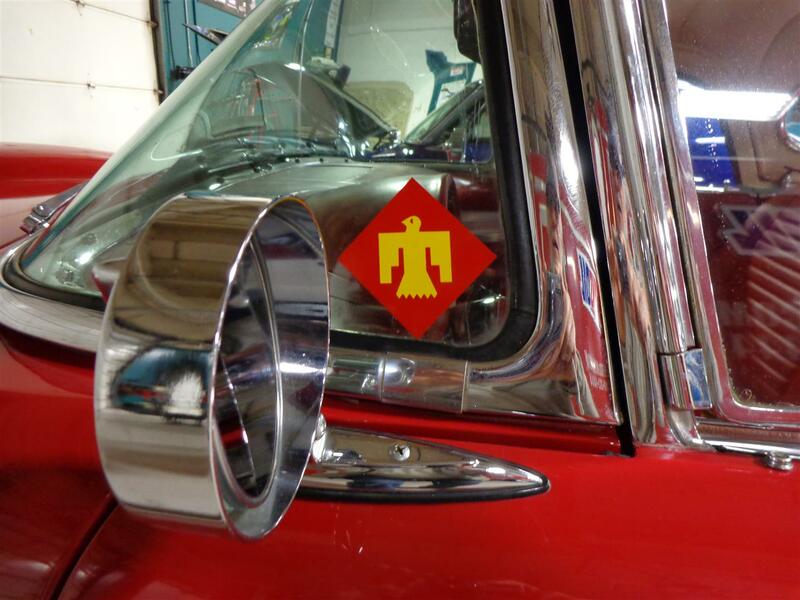 In 1971 Lynn enlisted in the, 120th Combat Engineering Battalion, which is part of the “Fighting 45th Infantry Brigade whose symbol is the “Thunderbird”. Today Clay Fees, Lynn’s oldest son is a JAG Officer in the 45th and uses the classic 1957 Thunderbird as a recruiting tool for the Oklahoma National Guard 45th Infantry Brigade in Tulsa area car shows. 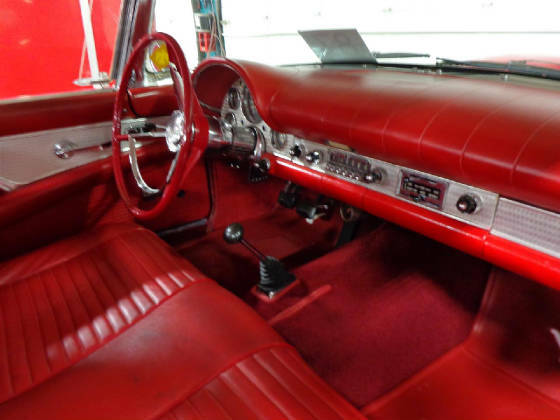 As you can see, the “Red” interior of this classic Thunderbird with telescopic steering and power seats, is still in excellent condition. 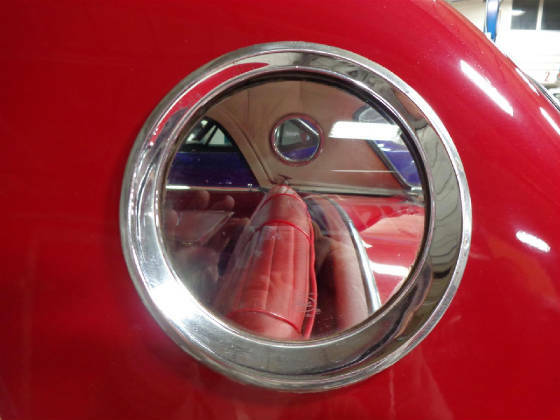 The porthole side windows were in the 1956 and 1957 Thunderbirds. These did not show up again until the 2000 retro model was introduced. 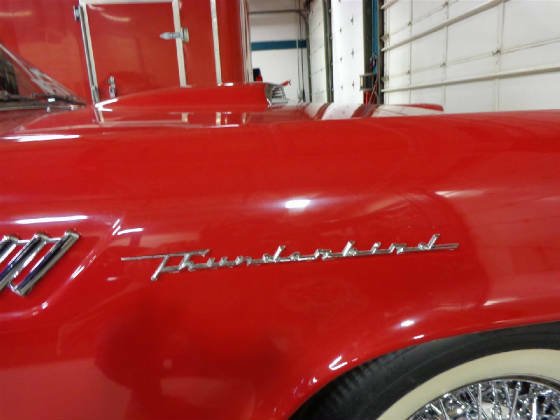 Due to life and family, Lynn never purchased the Thunderbird back from his mother. The car just set in the family garage for many years. Lynn’s mother passed in 1999 and he was given the classic Ford as stated in her will. 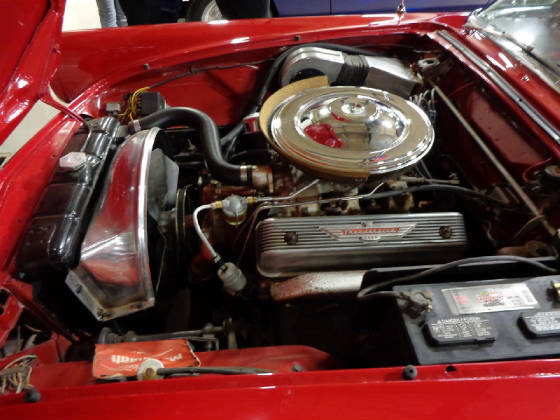 He let the Thunderbird set for several years then began to drive it again. In 2007 Lynn had Richard Johnson of Sapulpa repaint the car. Lynn’s oldest son was able to drive the car to his senior prom! 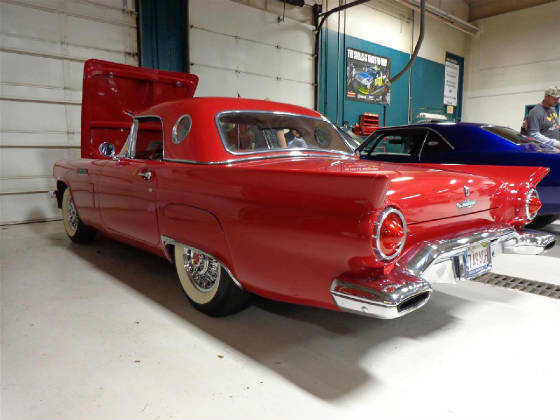 Lynn’s grandson who is in middle school is looking forward to driving the Thunderbird to his senior prom in the future, making three generations of Fees driving the classic to a school prom! 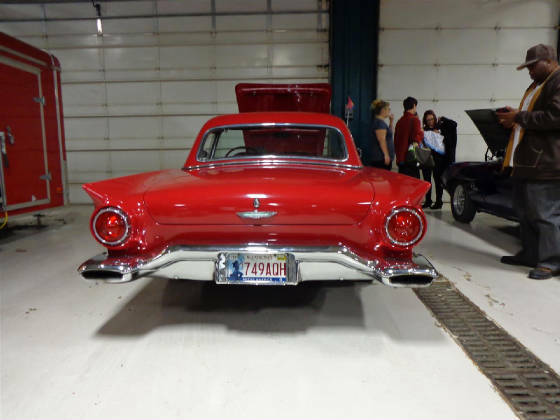 The finder skirts and the exhaust exiting through the rear bumper is classic 1957 Ford Thunderbird styling! 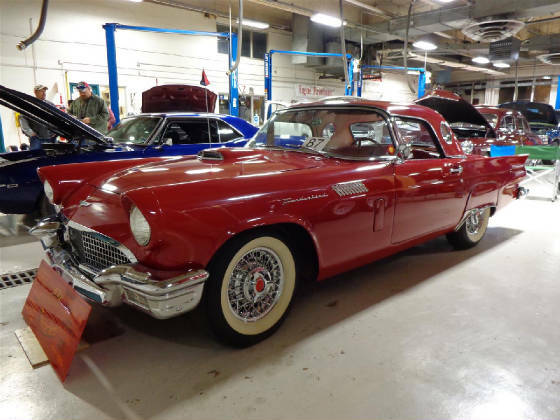 The Cimarron Starlite Cruisers sincerely appreciate Lynn and Edwardene Fees for sharing their classic 1957 Ford Thunderbird as our Great Oklahoma Classic for March 2015!